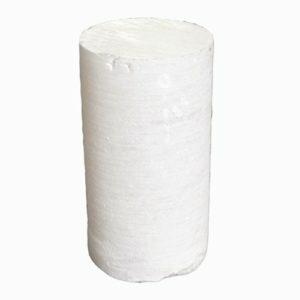 FOUR – Opaque White Alabaster – 10 lbs. This stone, from the Volterra region of Italy, is a medium soft stone that will carve and polish easily. 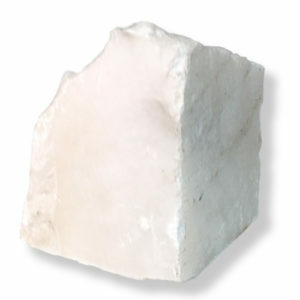 It is a solid white – light will not filter through the stone as it does with translucent white alabaster. There is no veining and rarely ever a flaw. 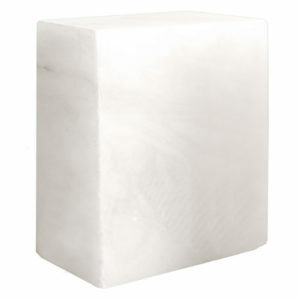 FOUR – White Alabaster Block – 10 lbs. Imported from Italy these alabaster blocks eliminate the work required to reduce a stone boulder or slab into the round for carving. Approximate dimensions: 3 1/2″ w by 5″ d by 6 1/2″ h. Approximate weight: 10.0 lbs. Imported from Italy this cylinder eliminates the work required to reduce a stone boulder or slab into the round for carving. Can also be used for stone turning on a wood lathe creating alabaster vessels. Approximate dimensions: 4″ w by 8″ h. Approximate weight: 8.0 lbs.